Does your business need money to pay taxes? Funding programs are available that cover federal IRS taxes, state taxes and local taxes. The money can also be used to pay quarterly tax payments , OIC offer in compromise settlements, and income tax settlements. Identify business funding programs that offer money to pay IRS Taxes, including business back taxes, tax liens and OIC, offer in compromise, and tax settlements. 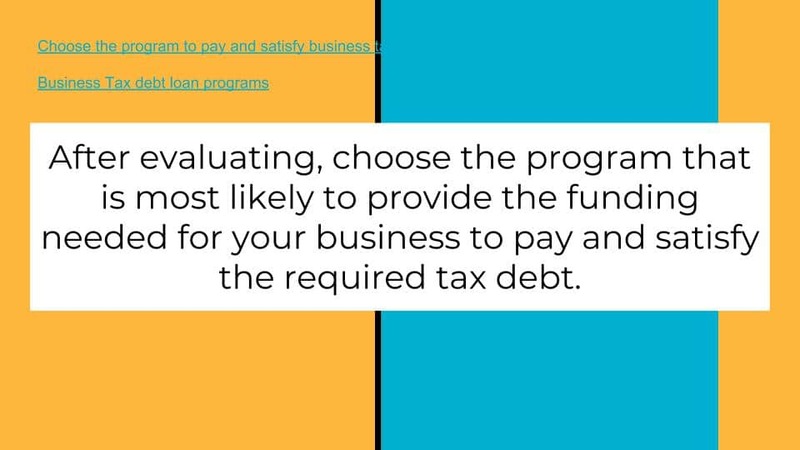 If your business has the cash flow, select programs are available to satisfy the need to pay your specific tax debt. Tax debt and liens of all amounts are usually considered by these specialty programs. Some may require additional collateral such as real estate, listed stock, or other collateral that covers the amount of the tax debt. Open tax liens over $10,000 are more difficult to get funding for without collateral. 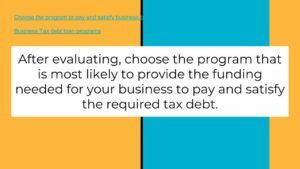 After evaluating, choose the program that is most likely to provide the funding needed for your business to pay and satisfy the required tax debt. 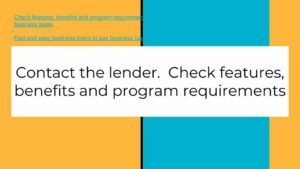 Contact the lender. Check features, benefits and program requirements. Ask about restrictions, including what is needed for approval and closing. 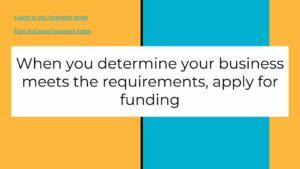 When you determine your business meets the requirements, apply for funding. 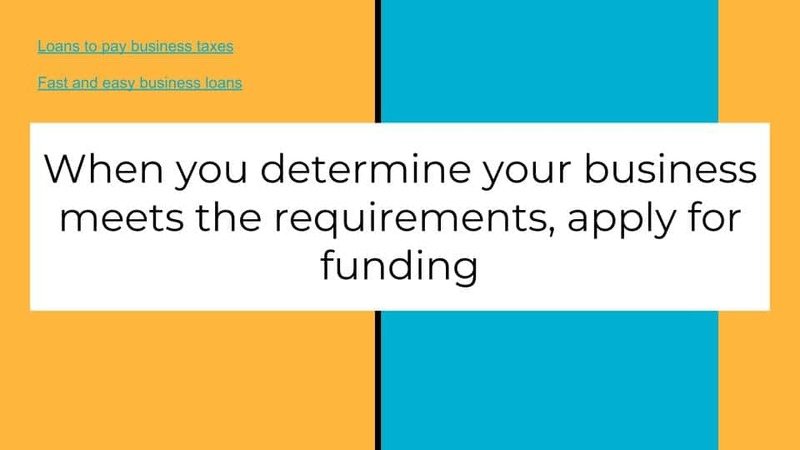 When you determine your business meets the requirements for a loan to pay business taxes, apply for funding. 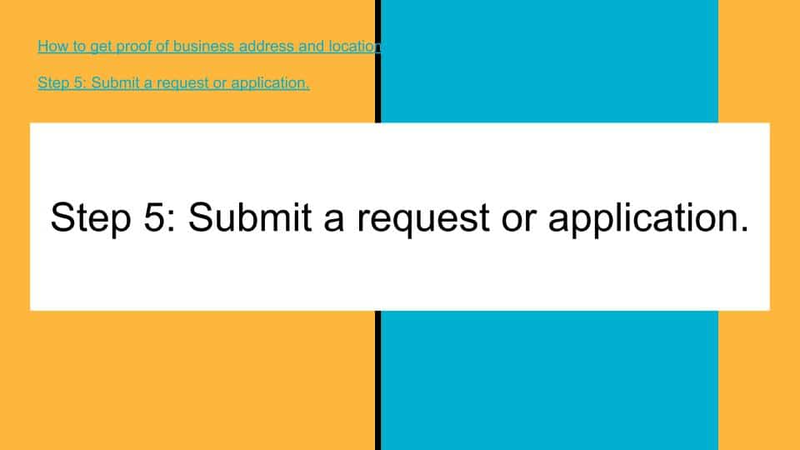 For any offers made, review the full terms and determine if your business can make the payments. If so, provide the items needed by the funder to close the transaction. FAQ Frequently asked questions on how to get money to pay irs business taxes and business back taxes. Can I get a loan to pay my business taxes? You can get a loan to pay your business taxes. 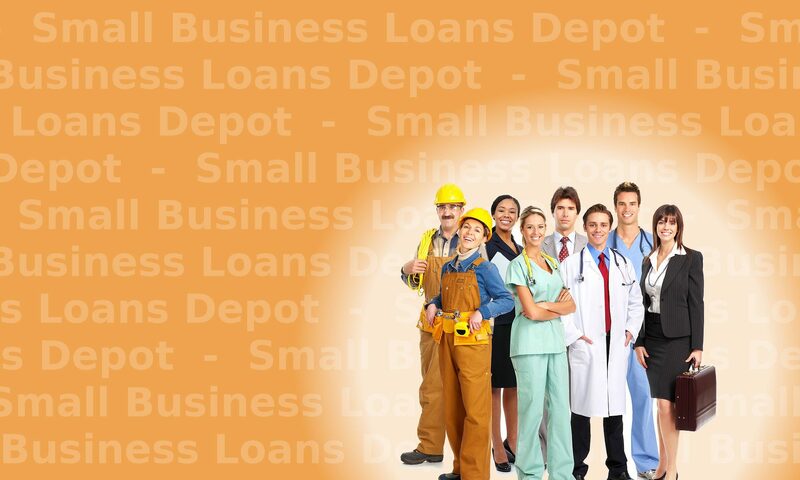 Get an unsecured loan to pay your business taxes through several programs with terms between 2 to 12 months. With a good credit score you may be able to get up to 60 months and up to 120 months in some cases. Other programs to pay business taxes are based on the sales of your business. More loan options to pay your business taxes include asset based against commercial or residential real estate. Programs are fast funding and the business can usually get funds within days. Can I pay my business taxes late? You may be able to pay your business taxes late. File an extension on your business taxes and pay as much of your estimated taxes as you can pay. If you do not know what your estimated taxes are you can file an extension before april 15th and complete and then pay your taxes by October 15th. Interest and penalties may apply. In some cases you cannot pay your taxes late. If you have filed an extension already you must pay all taxes due by October 15th of the same year. Contact a cpa for confirmation of your situation. Do I have to be in a payment plan to pay back business taxes? If you cannot pay the amount of the back business taxes plus interest plus penalties then you will need to get a payment agreement with the IRS or state for state taxes. Do I have to provide information on the IRS payment plan to the lender? When you or your business has an IRS or state payment plan it is better to provide the payment plan documentation. Doing so may help you secure the funding you need. Provide information on an OIC offer in compromise if you have that. What if I have an open tax lien? Programs are available to allow your business to payoff or settle an open tax lien if approved. Approval depends on the amount of the open tax lien as well as the cash flow of the business and the owner’s credit score. Other factors include the average daily balance of the business as well as the time in business and assets of the business and owner. . If the cash flow and revenues of your business show that you can handle the payment amount needed for funding to payoff the open tax lien, then your business has an excellent chance of being approved. How long does it take to get funding? Processing time from application to funding on approvals is usually 2-3 business days. Time to funding may depend on how many tax liens you have and if there are state and federal tax liens. What if I have an IRS tax lien on my credit already? Can I get funding to pay the IRS if there is a lien listed on my credit bureau? Having a lien on your credit is usually not the deciding factor. You still often have an excellent opportunity to get money for your business. The cash flow of the business and being able to show documentation on the lien is more important. The information from the IRS or state on the lien will provide all the details needed on the lien. There are programs that will payoff irs or state back taxes directly with a lien on your credit report. The lien can be on any bureau report including Equifax as well as TransUnion and Experian. The owner can use the funds to pay off and satisfy or settle the lien. Is the tax lien paid off at closing or do I payoff the IRS or state tax lien myself? This depends on the program. In most cases you are funded into your business checking account and payoff and satisfy the IRS or state tax lien yourself. A requirement for closing your business loan may be to provide documentation on the lien so funds funds can paid to the IRS or state directly. This applies to IRS tax liens as well as state tax liens and real estate taxes. Do I need collateral for a business loan to pay back IRS taxes? You do not have to have collateral to try to qualify for funding to pay IRS business taxes with many programs. If I file an extension can I still get a loan to pay business taxes? 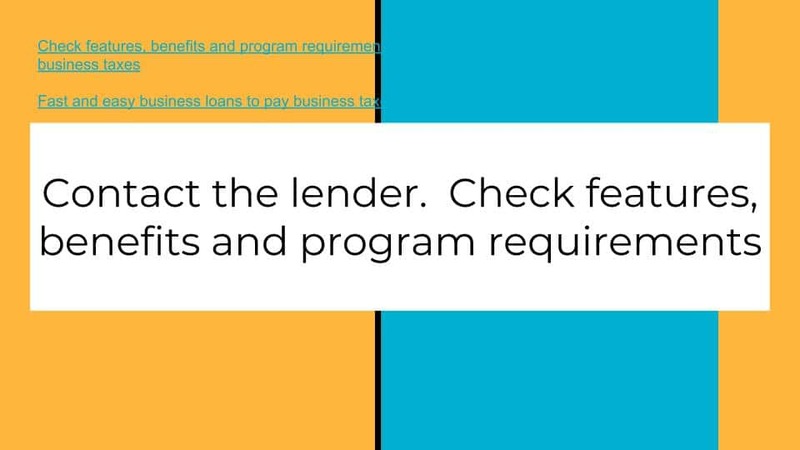 Yes you can still get a loan to pay business taxes even if you file an extension. The extension allows to to pay by October 15th of the same year. If you pay the amount owed by October 15th of the same year then it does not matter whether or not you get a loan to pay the business taxes owed. You are supposed to pay the estimated taxes owed by tax day which is usually April 15th. If you have not completed your taxes then you may not know what your estimated business taxes are. Pay what you can and then pay the rest by the extension filing deadline of October 15th.